STEEPED IN the culture of his native Middle East, Israeli lutenist Ziv Braha is also a man very much at home with English Renaissance music. He is about to make his Galway debut, playing the Galway Early Music Festival this weekend, but his journey to classical and early music began in a most unexpected way. While today Ziv is based in Switzerland, where he works as a professional lute teacher, and has, since the 2000s, given concerts across Europe, he was born and reared in central Israel, growing up in Rishon LeZion, the fourth largest city in the state, and one of great importance in Israel’s history. The route which led Ziv to classical music, and his subsequent career as both a professional lutenist and music teacher, began in an unexpected fashion - when a friend introduced him to British heavy metal legend’s Iron Maiden. Ziv later formed a rock band with some school friends. “I wasn’t good at writing songs but I was good at improvising,” he recalls. “I enjoyed writing the guitar solos. We had a lot of fun." However it was another musical introduction, from another school friend, which saw him lay down the electric guitar and pick up the lute instead. The lute is an ancient instrument, whose origins, like that of its close cousin, the oud, lie in Mesopotamia. 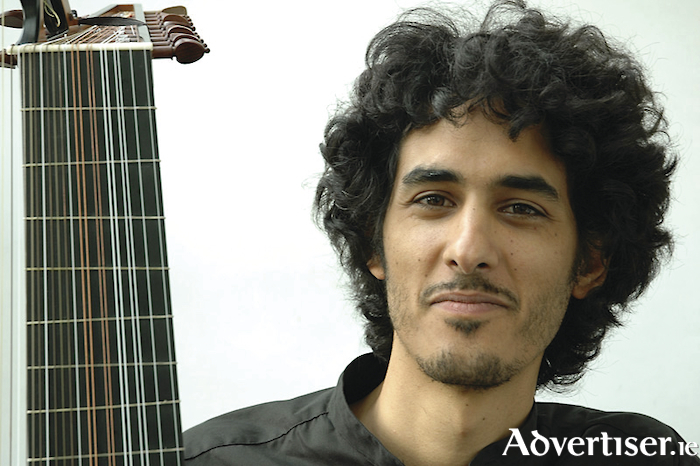 I ask Ziv if an attraction for him to the lute was its connections to middle eastern culture? “My ancestors came from Arabic countries,” he says, “and while Arabic culture was not a culture we lived at home, I feel very close to it, very drawn to it intuitively, I feel very connected to the Arabic music tradition. I was once in Bruges in Belgium, at a music festival, and I was taking a break from rehearsals. We were in a basement, but I heard this music coming from upstairs in the main hall and went to hear it. It was a rehearsal also. It was musicians from Israel and Palestine, from Gaza I think or the West Bank, and they were playing together, singing these Arabic songs, and as I was listening to them I just started crying. I don’t know what came over me. I don’t speak Arabic, so it wasn’t the words. It was the melodies. Maybe it’s some kind of genetic memory? My grandfather was from Egypt. There was a rich cultural tradition there of song in the 1950s and 1960s, it was semi-classical and semi-popular. He listened to a lot of that. My father heard this at home. I just feel it is part of me." Ziv's Galway Early Music Festival concert, with Galway soprano Aisling Kenny, will see them perform an intimate, candle-lit concert, In Darkness Let Me Dwell: Songs of Night and Desire, featuring a programme of English Renaissance lute song by John Dowland, John Danyel, and Thomas Campion. Ziv is passionate about this kind of music. “The English song repertoire is my favourite. I could do it my whole life,” he says. “What we are dealing with here is just a short period of time. The first songs were published at the end of 1597 and the last comes about 20 years later. We’re dealing with a time between the reign of Elizabeth I and James I, which brought about huge changes in society, religion, art, and culture. This was the golden age of England. Page generated in 0.1482 seconds.